The County Commission of Fayette County, West Virginia was concerned by the fact that EQT Production Company (EQT) operated 200 oil and gas wells in the county, and utilized an injection well located in the county to dispose of the wastewater generated by the production activities of these wells. However, these operations have received the necessary permits from the state agencies, acting under the authority of the West Virginia Oil and Gas Act, the West Virginia Water Pollution Act and provisions of the federal Safe Drinking Water Act. Citing EQT Prod. Co. v. Wender, 191 F. Supp. 3d 583, 596 (S.D.W. Va. 2016). Here, West Virginia law does not permit a county to bar an activity that is licensed and regulated by the state pursuant to a comprehensive and complex permit program. 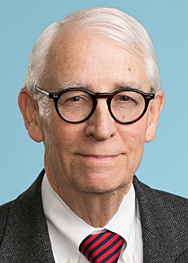 In dissent, Judge Wallace argued that the most prudent course for the court to take would be to certify the preemption issue to the West Virginia Supreme Court of Appeals.